Fat, oil and grease can be bad news for businesses that prepare and sell a lot of food, such as pubs, restaurants and takeaways. 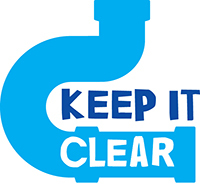 A build-up of fat in pipes can lead to blocked drains and overflowing sinks and toilets, either on the premises or in the neighbourhood. This can be costly to put right and you may even have to close while repair work is carried out. Businesses are required by law to make sure their waste does not block or damage the sewer network, under Section 111 of the Water Industry Act 1991. In addition, the Building Regulations (page 14) state that FSEs (Food Service Establishments) should have a grease separator fitted to drains serving kitchens, or other effective means of removing grease. Protective measures can include installing equipment, such as grease traps, to stop fat, oil and grease entering the sewer network and training staff in the safest ways to dispose of waste. Simple changes in behaviour, such as putting all food waste in the bin rather than down the sink and using sink strainers, can also make a difference. British Water has produced a Code of Practice for food businesses to dispose safely of waste. The fat and oil can then be recycled to produce fuel, which can then be used to generate electricity. You should make sure the company you use is registered as a waste carrier with the Environment Agency.